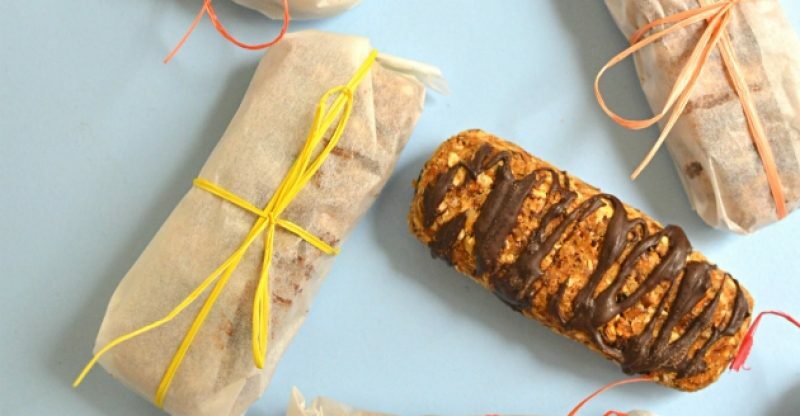 If you eat a lot of granola bars, making your own from the assortment of oats, nuts, and dried fruits that are always in the cupboard is a natural next step. 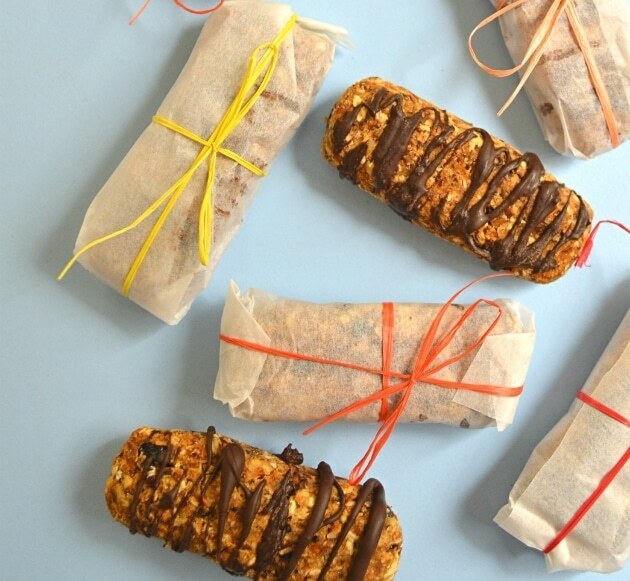 Try these extreme delicious and super easy granola bars with dried fruit. Put all ingredients (amounts are arbitrary, according to your taste) into the chopper and chop finely. From the resulting mixture, form bars and bake them in the oven (on baking pan lined with parchment paper) at 120 ° C for about 60 minutes. When cool, you can decorate the bars with dark chocolate: Melt 2 rows of dark chocolate in the microwave and decorate. Chill in the refrigerator, wrap in parchment paper and store in a cool, dry place up to 4 days. Bon appetit!